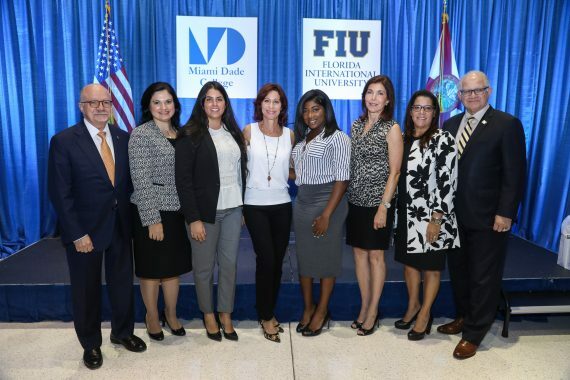 The Braman Family Foundation is making a $1 million gift to Miami Dade College (MDC) and Florida International University (FIU) as an incentive for students to enroll full-time during their last year of studies at the institutions to facilitate and accelerate college completion. 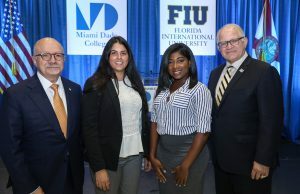 Leadership from the Braman Family Foundation, MDC and FIU made the announcement on Wednesday, Aug. 23, at MDC’s Wolfson Campus in downtown Miami. The Braman Family Completion Scholarship program will support 1,000 students each year – 500 from each institution – who are in their last year of studies. A $1,000 scholarship was given to students to expedite the completion of their degrees. Nationally, approximately 15 percent of college students drop out with 75 percent of their credits completed, mainly for financial reasons. These additional funds, especially in the final year, give students the opportunity to more closely focus on their courses and complete their degrees. Furthermore, the scholarship reduces the financial pressure for students to work full-time. In order to qualify for the scholarship program, each institution has requirements that will ensure that the Braman scholars find success in their final year. 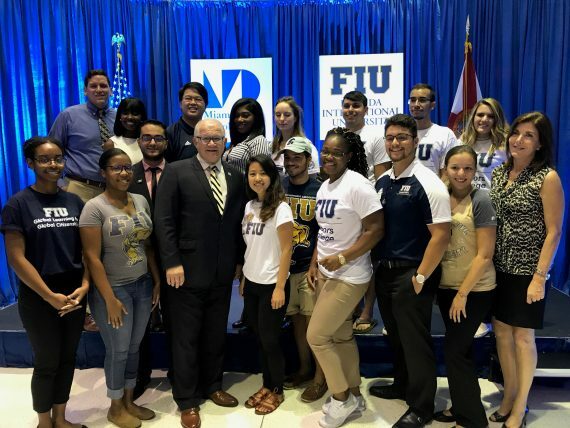 For more information on the requirements and how to apply, visit MDC Financial Aid and FIU Academic Works.